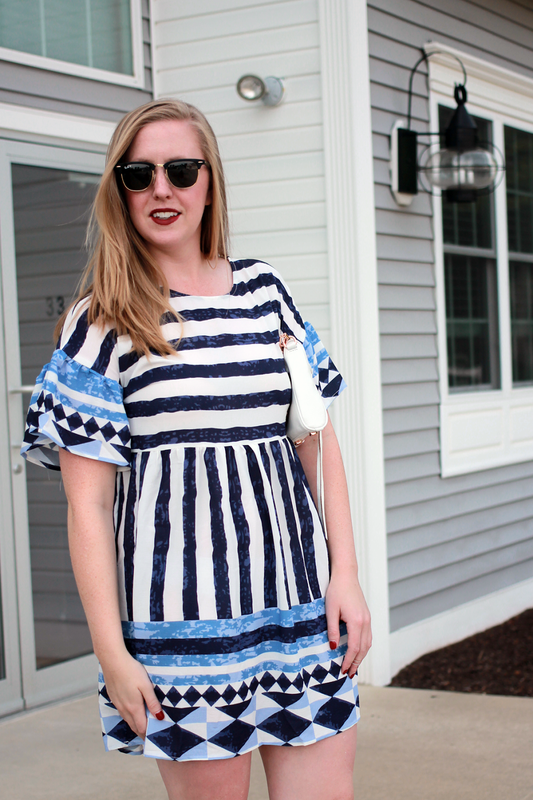 In the meantime, check out this adorable 'end of the summer' dress (thanks to Shein). I'm loving all the different shades of blue. It's a bit short on me, but maybe that makes it all the more fun! Shop more dresses and their new fall pieces here. Also, be sure to check back here next Tuesday. I'll be hosting a 'Fall Style' Link-Up with the fabulous Laura and Erin. So get your Fall outfits ready! Or head over to their linkup today to share your 'Fall Boots'! 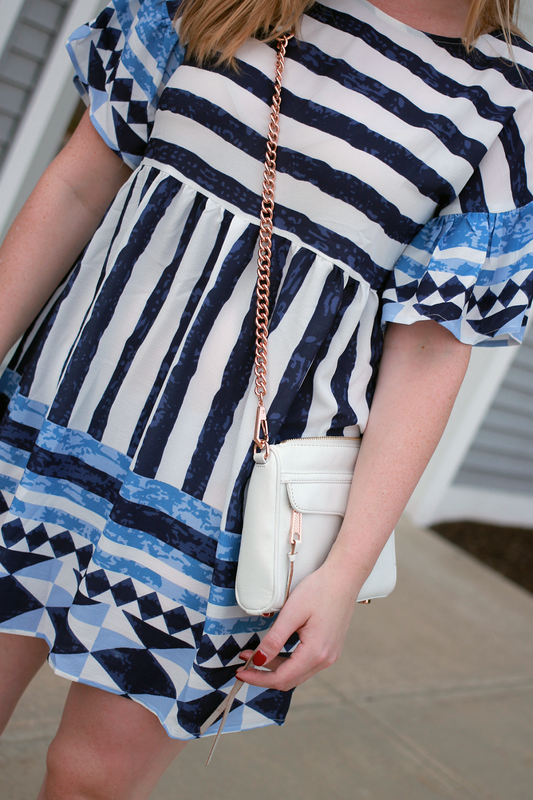 4 comments on "Geometric Print Shift Dress"
This dress is absolutely adorable on you! So fun for the end of summer!